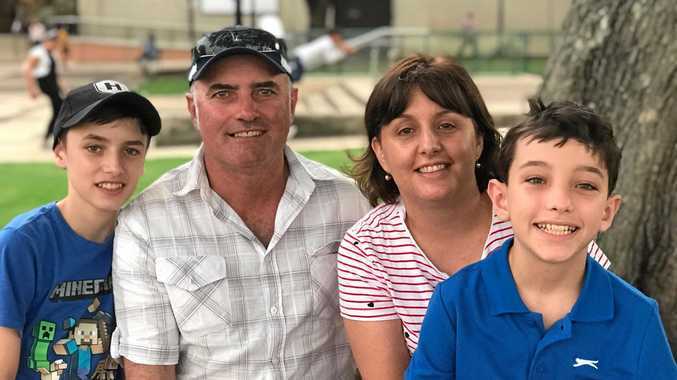 AFTER a life of early morning milking, Sandra Kenman and her family made the tough decision to leave the dairy industry behind them. Mrs Kenman said the move to retirement was the right thing to do for their family. "We were all under a lot of pressure," she said. "There's no money in milk." Life was beginning to move forward as they resettled on an 80ha property in Upper Pilton three years ago. Moving to the hobby farm, the Kenmans now have a few chooks and friesian calves. "We take on as much or little as we like, calves when we have the time, there's a lot more freedom," Mrs Kenman said. Balancing into her new, quieter lifestyle has allowed her to spend more time with her family. 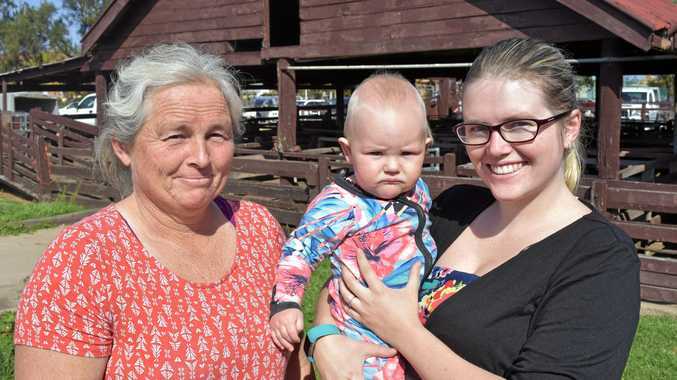 Mrs Kenman made the trip to the Pig and Calf Sales with her daughter Lara Kenman and seven-month-old grandson, Vegas. They brought with them some chooks to sell, however, Vegas was more interested in the bigger stock. "He can't take his eyes off the pigs this morning," Ms Kenman said. "I don't think we can take one of them home with us though."